A bill to license collision repairers and auto mechanics in North Carolina will increase the industry’s worth and be a “good model” for other states, the head of a state auto body association said Tuesday. 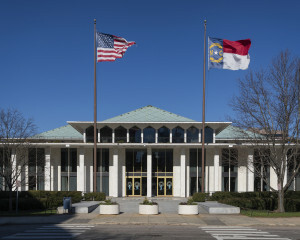 Independent Garage Owners of North Carolina Executive Director Bob Pulverenti said his group helped author Senate Bill 454, which was introduced Thursday in the Legislature and is currently before the Committee On Rules and Operations of the Senate. His organization sought to combat “Craigslist shops” doing repairs in a driveway, failing to pay taxes, and compensating employees under the table. Shops would have to display a sign that they were licensed so the public could tell the difference. The bill wasn’t intended to block DIYers, he said; you could still change your own oil without a mechanic’s license if it passed. However, the North Carolina session extends into 2016, so “we’ve got two years for it to move,” he said. “It was a big deal just to get it introduced,” Pulverenti said. The big hurdle, he said, was getting its language approved by the Legislature as legally kosher. That gives repairers something tangible to show to lawmakers instead of just giving them a vague you-guys-should-do-this concept. Pulverenti said the bill’s annual fees and licensing requirements — including a test and having completed an appropriate technican’s course up front and 4-8 continuing education hours each year — weren’t intended to be a burden on smaller operations. Fees are $25 a year for auto technicians (both collision repairers and general mechanics) and estimators or service advisers, who will also have to put in eight hours of study. An auto body shop or mechanical repair shop has to pay $300 and show four hours of education. Besides, such requirements were inevitable nationwide, according to Pulverenti. To that point, the bill would let anyone licensed in another state get a North Carolina license. Shops would also have to keep customer records for three years — and the board will set rules for what invoices, estimates and the like should say — and let the board’s staff (funded by the law) inspect it and their shops. There’s also provisions for yanking someone’s license for a variety of activities including substance addiction, a felony, incompetence, deceiving the public or paying employees under the table. Licensing and other decisions regarding the auto body and mechanic businesses would be done by a new Board of Examiners for Motor Vehicle Repair, which would have seven members serving three-year terms from as “geographically diverse” an area as is realistic. The governor will appoint the seventh member, a consumer’s rights advocate. The entire board must be licensed once it’s possible to do so, although it seems like that could be difficult for the consumer advocate. Everyone’s term-limited after two stints, and any sudden vacancies would be filled either by the Legislature or governor as appropriate. Pulverenti thought the association members on the board would be valuable despite always having to recuse themselves from licensing decisions about a member. A lot of the job will be coming up with regulations after the initial law is passed, he said, and it would work better to have someone familiar with the industry doing that instead of a politician or outsider.